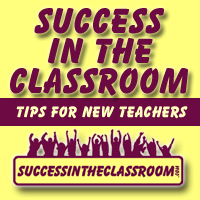 This week, my guest is amazing teacher, Amanda Dykes who has a blog called Upside Down Education where she shares what is happening in her class in a way that is refreshingly honest. Amanda is a sixth grade teacher who is passionate about integrating technology into the classroom. In this episode, Amanda shares with us about STEM (Science, Technology, Engineering, and Math) and STEM-Based learning , and how teachers can use each of these areas in their teaching. Her advice to new teachers, “Don’t sweat the small stuff” and “Don’t let boredom happen” gets right to the heart of classroom management. 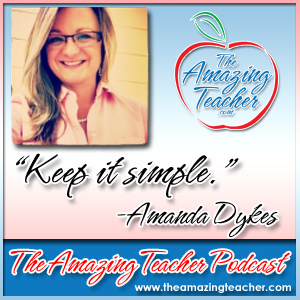 “Keep is simple” is another great piece of advice that Amanda shares with us. It’s easy to get overwhelmed with grading and record keeping, and Amanda offers some amazing tips on how to keep the paperwork to a minimum. I really had a great time speaking with Amanda.